Now available: Digital download only version of Like Cords. $14.95. Digital download includes: Complete downloadable audio recording of Like Cords Around My Heart in MP3 format (playable on most computers, tablets, and phones). Payment is via PayPal. Order by clicking the button below. You will receive an email with a download code within twenty-four hours. Holiday special: New low price and free domestic shipping on six CD Like Cords set! Six CD set: $27.95 with free domestic shipping. International shipping is $15 to Canada and $20 elsewhere. Complete audio recording of Like Cords Around My Heart on two MP3 CDs (playable on some CD players and on most computers and car stereos). Audio recording of abridged book, featuring twelve chapters on four audio CDs (playable on any audio system), with musical illustrations throughout and never-before-released audio. Downloadable code for the complete audiobook. Twenty-four-page booklet including exclusive photographs from private archives, with a preface by Nathan Rees and author’s notes by Buell Cobb. As anyone can attest who has been lucky enough to hear Buell Cobb’s reminiscences first hand, the stories when spoken sparkle with a vibrancy impossible to distill onto a printed page. 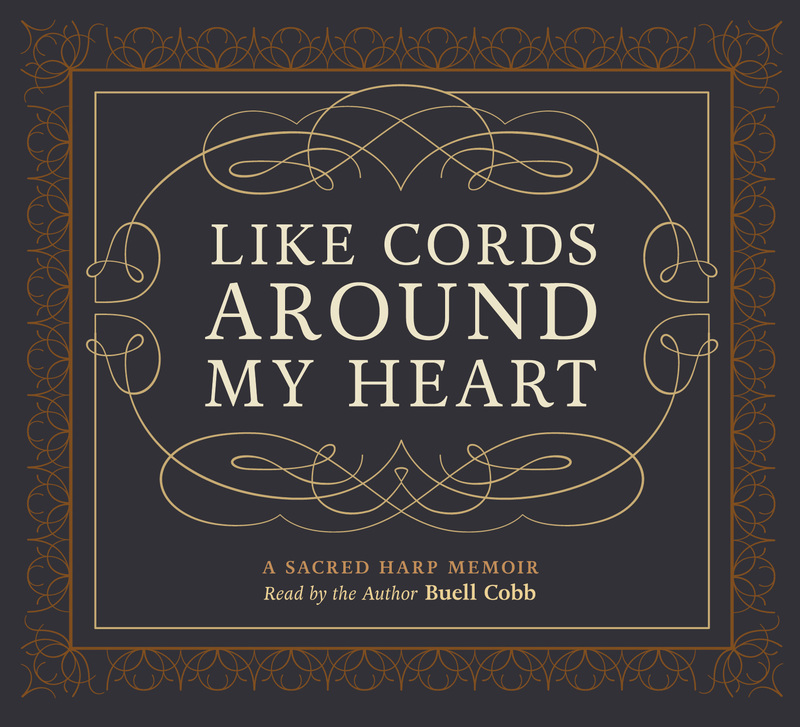 At the urging of the Sacred Harp community, master-storyteller Buell Cobb has narrated the entirety of his most recent book, Like Cords Around My Heart. 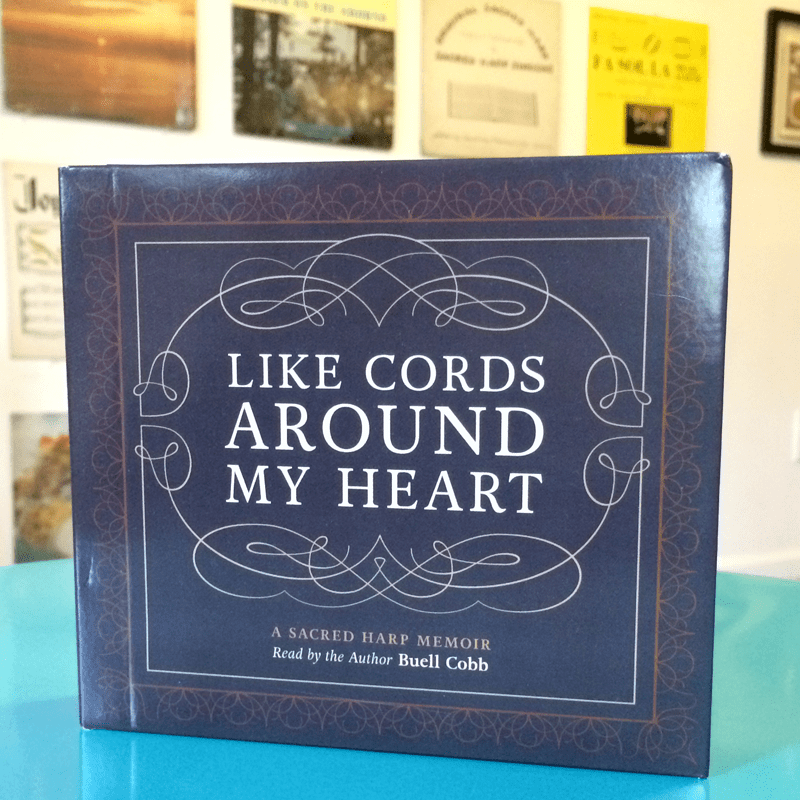 Spanning nearly fourteen hours, the audiobook takes listeners on a journey through the world of Sacred Harp that Cobb has traversed since the 1960s. The author’s inimitable voice brings to life the singers and singings of decades past in a memoir that is intensely poignant, always sharp, and often hilarious. A wealth of never-before-released historical and contemporary recordings of Sacred Harp singing enhance the experience, seamlessly bringing together the characters in the stories with the music that they loved. In addition to the complete audiobook on MP3 CDs, the package includes an abridged version on standard audio CDs for use in any audio system. The handsome package, which was designed by Lindy Groening, also includes a booklet featuring notes by the author, a preface by Nathan Rees, and a selection of historical photos.